Need prayer? Have a passion for prayer?  Check out NewSong's Prayer Ministry! Have a passion for prayer? If you have a passion for prayer, are looking to learn more about prayer, or want to challenge yourself to pray more, join NewSong's Prayer Team!! If you are interested and would like to receive further information on how to participate in this ministry, please fill out the form below.